Whether you are building your new home or remodeling your existing one, make sure you compare your builders. We know you have many choices out there for your home building needs. Ask yourself a few questions. Does this builder have the competency to build/remodel my home in such a way as to improve my home value and my lifestyle? Do they look at my house as a building system rather than an object? 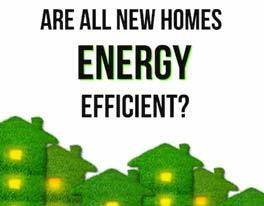 Will they use the latest, best building products and construction techniques to make my home energy efficient, healthy, comfortable, and easy to maintain? McAllister Construction designs, builds, and remodels homes using green building practices. We have incorporated green features resulting in homes that are energy efficient, healthy, comfortable, and easier to maintain. We hold our new homes to a high standard. How high you ask... We guarantee your home energy usage based on your HERS Index score. Find another builder that confident. McAllister Construction knows keeping your family safe and healthy is your first priority. To accomplish this, we know that controlling the air quality in your home is the first line of defense. Improper HVAC design is one of the largest reasons to have temperature fluctuation in your house, making it very uncomfortable. Conserving water is very important. That's why we have the systems in place to reduce water costs.